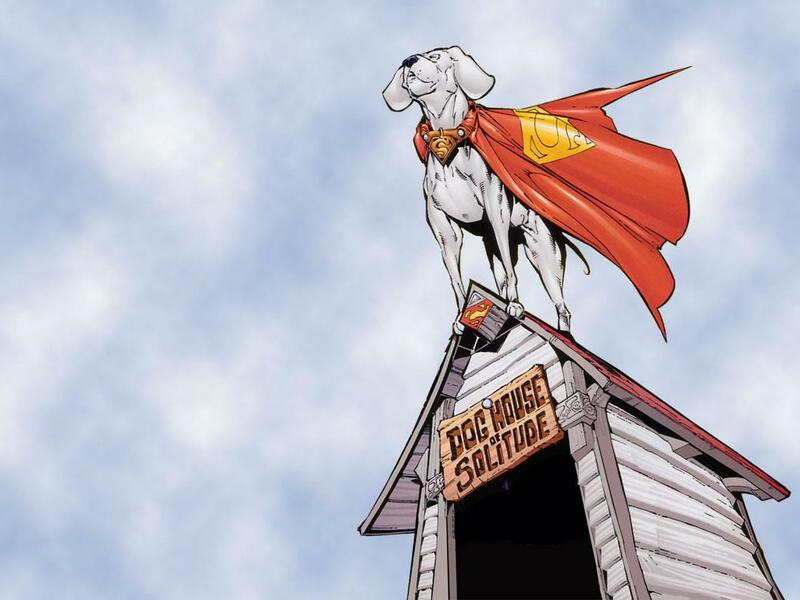 There probably aren’t many people who don’t know that Krypto is Superman’s pet dog. 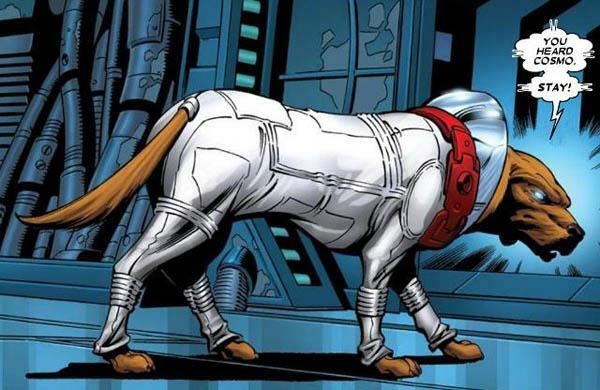 Created by Otto Binder and Curt Swan, Krypto was the family dog in Jor-El’s household and was used for a test flight of the rocket that eventually carried baby Kal-El to Earth. However, Krypto’s rocket was blown off course, similar to Supergirl’s, and drifted in space until the rocket picked up the signal from Kal-El’s rocket that landed on Earth. Growing up alongside Superboy, first appearing in Adventure Comics #210, he was raised in Smallville on the Kent Farm and has much of the same abilities as Superman. He has been a member of Team Superman, the Legion of Super-Pets and the Space Canine Patrol Agents. Despite the name, Ms. 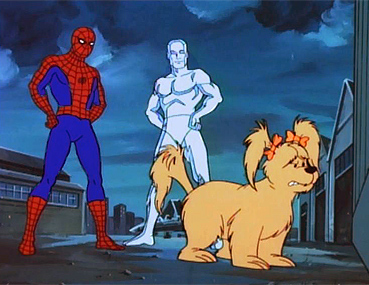 Lion is a male dog who belongs to Peter Parker’s Aunt May. Although he doesn’t have any superpowers (only natural energy and loads of enthusiasm), he became a founding member of the Pet Avengers. 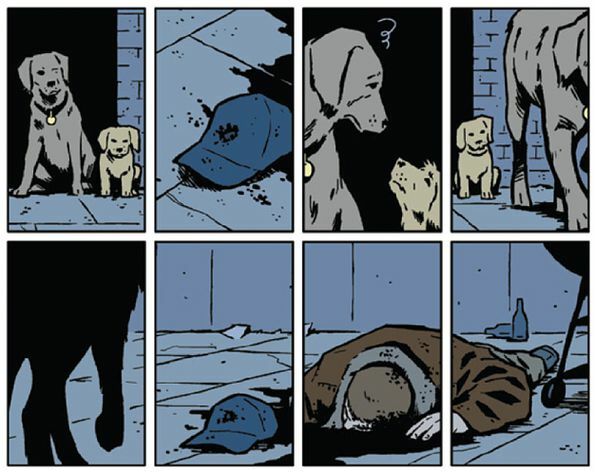 Lucky, who also went by the name Arrow or Pizza Dog, was renamed by Clint Barton at the end of Hawkeye #1 – Lucky. Lucky, who has appeared in over 30 comic books, is missing his left eye due to the trauma he sustained after rescuing Hawkeye. First appearing in Batman #92 in June 1955, Ace is a German Shepherd dog who was originally owned by an engraver named John Wilker. He was found by Batman and Robin after his master was kidnapped by a gang of counterfeiters. On one particular outing, the dog raced after the Batmobile when it left the Batcave and, rather than return him, Batman and Robin took him along. 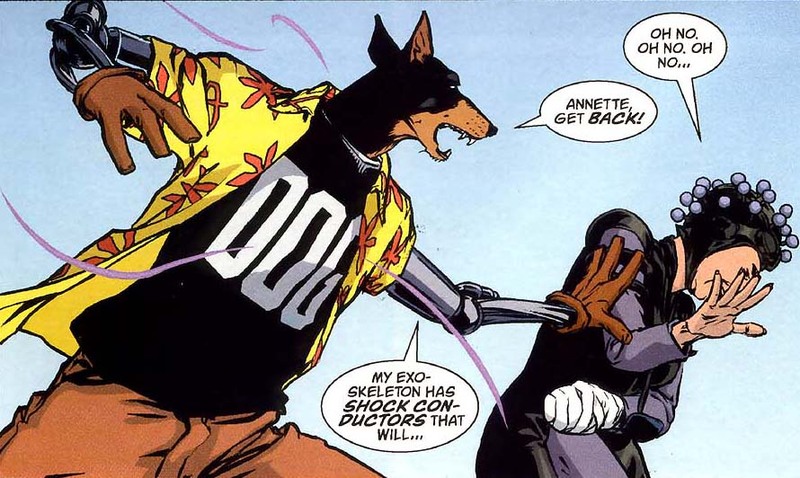 Hyperdog is a super intelligent, talking Doberman in a man-shaped robotic exoskeleton. Kemlo is a humorous and kind individual, hiding his feelings of inadequacy at being a dog in a human world. Dynomutt, Dog Wonder is a 30-minute Saturday morning animated series produced by Hanna-Barbera Productions. 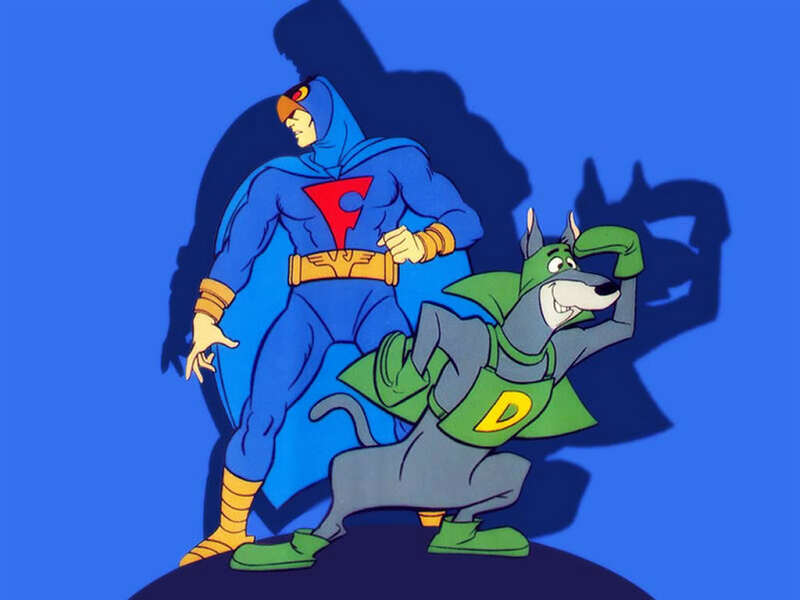 The show focused on a Batman-like superhero, the Blue Falcon and his assistant, a robot dog named Dynomutt. As with many other animated superheroes of the era, no origins for the characters were provided. Cosmo was a former test animal of the Soviet Space Program. He was launched into Earth’s orbit as part of an experiment but he drifted off into space at some point during the 1960’s. Arriving in Knowhere and at some point being mutated, he eventually came to serve as the station’s security chief. 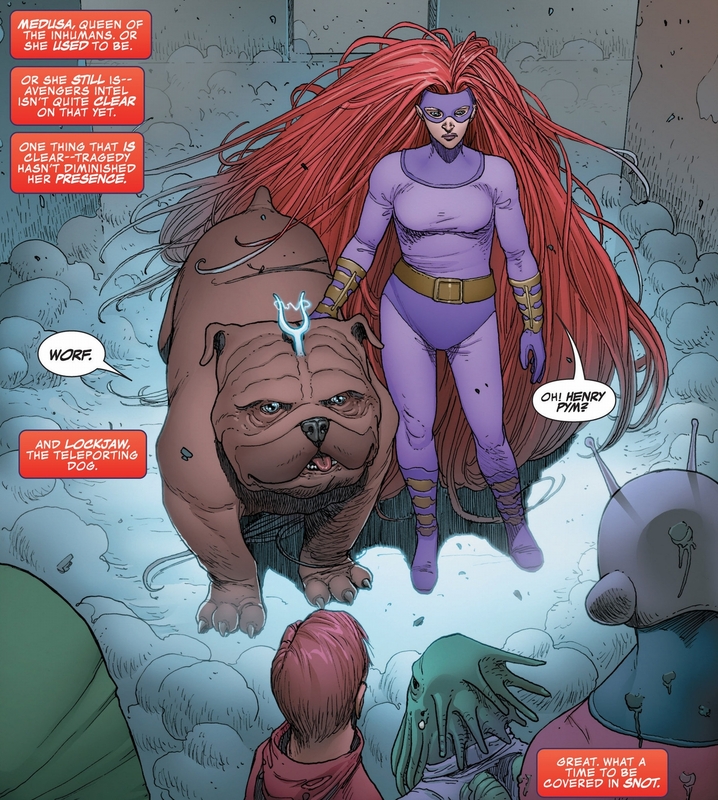 Created by Stan Lee and Jack Kirby, Lockjaw is a massive bulldog-like dog with the ability to teleport. He is also the loyal pet of the Inhuman royal family. His origins are a mystery and questions have been raised regarding whether or not he is a giant dog with superpowers or a mutated Inhuman who looks like a dog.